The time of confusion and struggle is over for all those beauty and makeup lover girls, who had no other option but to watch makeup tutorials of Western Youtubers! Not long ago, many Pakistani beauty artists has come to platform of Youtube in order to share magical beauty hacks and grooming skills for all those girls, who desire to enhance their skills and passion of makeup, hairstyle and beauty regime without wasting loads of time. Yes! We all know how to put on foundation and dab truckload of mineral powders, but still there is always a huge question mark in our heads, are we using the right shade and reliable makeup brand? To polish your makeup skills and lead your artistry of makeup to next level, today we have made a handy list of Top 5 Best Pakistani Beauty Vloggers n Youtubers of 2019, who have earned huge respect and appreciation on social media for attracting lots of girls. Featuring complementing color swatches, local and international makeup brand reviews hacks of using cosmetics in best possible ways and styling in casual n formal events. All those girls who desire to up their makeup game to professional level dive into the following Top 5 Best Pakistani Beauty n Vloggers n Youtubers of 2019 for exploring the trusted makeup brands and skills to amplify desi brown skin. Covering makeup tutorials and clothing tips, Aisha Chaudhri is most-liked for her effortless makeup looks, explaining the tactics and tips to use affordable brands of cosmetics in appropriate way. Mommy to 2 little boys, she manages the masses to inspire with her clothing and fashion skills, absolutely recommended to follow for taking inspiration of dressing up well! Running fashion blog and makeup tutorials side by side, Annam Ahmad is highly suggested for all fashionista and stylish girls, craving for something practical and affordable styles to adapt in their lives. No matter it’s her catchy tips on rocking your every eye-makeup look or fashion blogging, Annam Ahmad based in London, Pakistani youtube is fun to watch and follow. Earning more than 70k subscribers and ever counting views on Youtube, she has never failed to create professional makeup looks using international brands on her brown-toned skin! 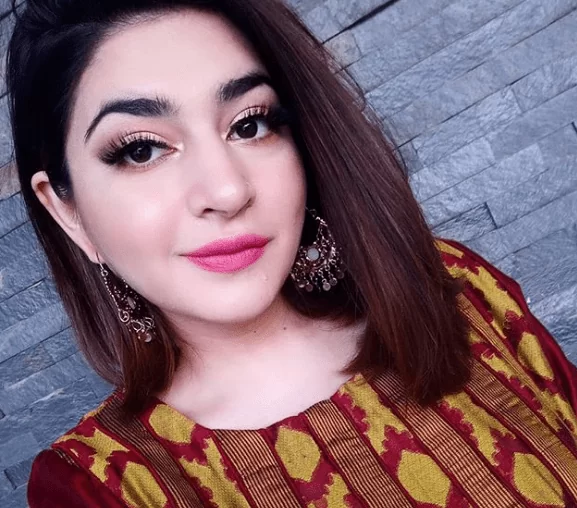 Emerging on Youtube as one of the most views Pakistani beauty Youtuber, Khadeja not only teaches the girls to master the skills of makeup but she shares her honest beauty product reviews, local and international both. What make her recognizable on youtube are her updated beauty tips which includes reviewing cosmetic brands on prices and quality. Glossips claiming itself a perfect beauty guide is no doubt gem of its kind, thanks to its popularity on social media, Glossips owned by Fatima Sheikh. Writing the honest reviews on makeup brands of local and international market, in easy and simple pattern, Glossips is earning respect focusing on beauty tips, hairstyling hacks and lifestyle content. No matter if it’s her party makeup video or natural look tutorial, the audiences is fan of Fatima’s uprightness. Married having two children, Nishoo Khan is Islamabad-based Pakistani beauty youtuber, who has lately become popular among women of all ages, for her positive energy and extensive knowledge of cosmetic brands. Ranging from helpful tips of skin regime to dolling up with professional skills, Nishoo Khan is highly recommended for beginners and beauty enthusiasts. From detailed and blunt reviews of cosmetic products, her videos just merely revolve around creating fabulous looks for almond-skinned Pakistani women but covers truckload of beauty inspiration, she is truly an artist.